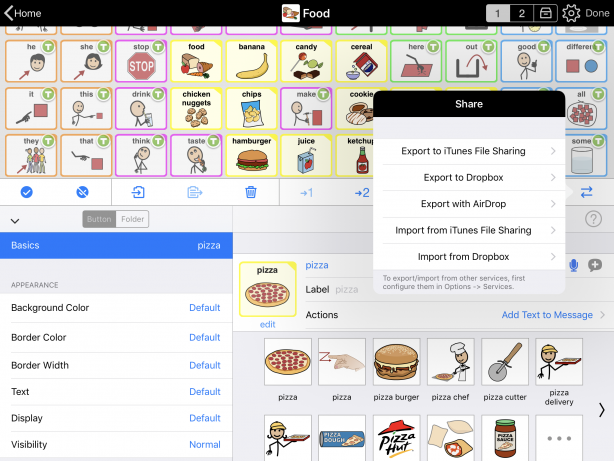 You can use AirDrop, Dropbox or iTunes File Sharing to share specific buttons and user-created folders between Proloquo2Go users on different devices. This can be helpful for sharing vocabulary between home and school or with several students in a classroom. 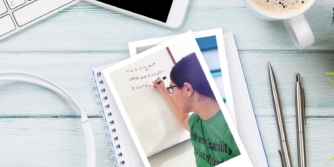 You do not need to be connected to the internet to use AirDrop. Go inside the folder with the message and folder buttons you want to copy. Tap Edit in the bottom toolbar. Tap Export/Import in the Edit Mode toolbar. If you want, tap the field below File Name and edit the name of the file to be exported. To begin the export, tap Export. Available devices with AirDrop enabled will appear at the top. Tap the device you want to AirDrop to. Open the folder in Proloquo2Go that you want to import the new content to via AirDrop. When the selected items are sent via AirDrop, you will receive a message asking you which app you would like to save it to. Tap Proloquo2Go, and you will be asked to confirm that you want to receive the buttons in the current folder. 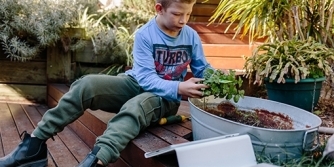 To use Dropbox, you must have a Dropbox account and be connected to the internet on a network that allows you to access Dropbox. 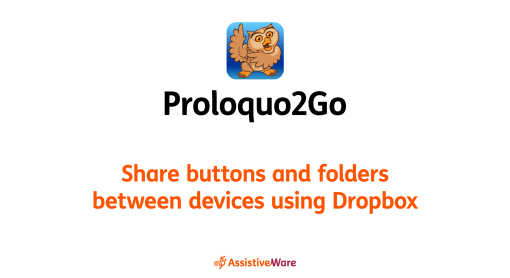 First, make sure Proloquo2Go can access the same Dropbox account on both devices that you want to share contents between. Tap Options* in the bottom toolbar. 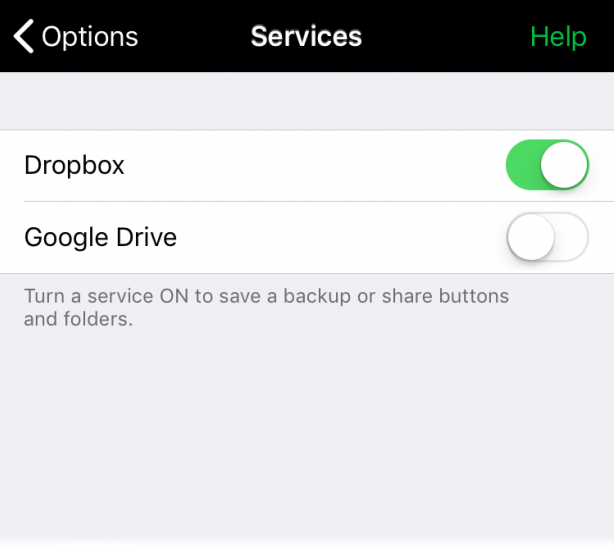 Make sure Dropbox is toggled to ON. If Dropbox is already ON and you want to change the Dropbox account associated with Proloquo2Go, toggle its setting OFF, then ON again. Tap Export again at the bottom of the screen to confirm. Wait until the progress bar fills and Proloquo2Go confirms the file was successfully exported. Tap OK.
On the second device, navigate into the folder you want to import the saved contents to. When the list of Dropbox contents loads, tap the row showing the name of the file you want to import. Tap Import. Wait for the file contents to import and the “Successfully Imported from Dropbox” message to appear. Tap OK.
To use iTunes File Sharing, you must have access to a computer with iTunes installed. You will need to physically connect the device running Proloquo2Go to the computer using its charging cable. Select Export to iTunes File Sharing. If you want, tap the field below File Name to edit the name of the file to be exported. To begin the export, tap Export. Tap Export again at the bottom of the screen to confirm. Wait until Proloquo2Go confirms the file was successfully exported. Tap OK.
Connect your device to your computer using its charging cable. Click the device’s icon in the upper left corner of the iTunes window. In the list of apps, select Proloquo2Go. You can rename the file, just make sure to keep the .p2g extension. Choose where you want to save the file to, then click Save. Open iTunes and connect the second device to your computer using its charging cable. Click Add… at the bottom of the Proloquo2Go Documents list. Navigate to and select the file ending in .p2g that you want to update to Proloquo2Go. Click Add. On the second device, open Proloquo2Go. Navigate into the folder where you want to import the file’s contents. Select Import from iTunes File Sharing. When the list of iTunes File Sharing contents loads, tap the row showing the name of the file you want to import. Select Import. Wait for the file contents to import, then dismiss the “Successfully Imported from iTunes” message. It is only possible to export and import user-created folders one level deep. Sometimes, you may want to transfer a folder with more folder buttons inside of it. When you open this folder after transferring it, the folder buttons inside it will appear grayed out. They will not respond when tapped. In Edit Mode, you will see a jagged line through these broken folder buttons. Open Proloquo2Go on the first device. Go inside the folder you transferred. Open Edit Mode, select all the folder buttons, and export these using your preferred method. If you are using iTunes File Sharing, follow the steps to transfer this file to the second device. Open Proloquo2Go on the second device. Go inside the folder where you want to add the folder buttons. Open Edit Mode and select the appropriate Import method. Choose and import the file containing the folder buttons. Right after import, these buttons will be selected. Tap the Deselect All button in the Edit Mode toolbar. Tap the broken folder buttons to select them. Then, tap Delete . Confirm you want to delete the buttons permanently. If you export a folder from one user and import it into a user that already has a folder with the same name, the customizations from the first user will not transfer. Proloquo2Go will simply create a folder button linking to the version that already exists in the vocabulary you imported it into. If this is your situation, you should go inside the folder in the first user and export any buttons missing from the second user’s version of the folder. Then, open Proloquo2Go on the second device and import them into the second user’s version of the folder.